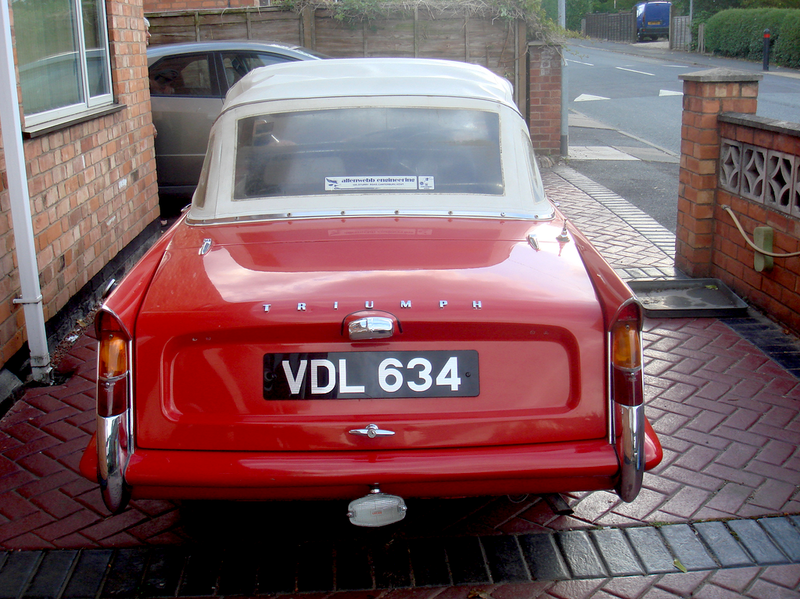 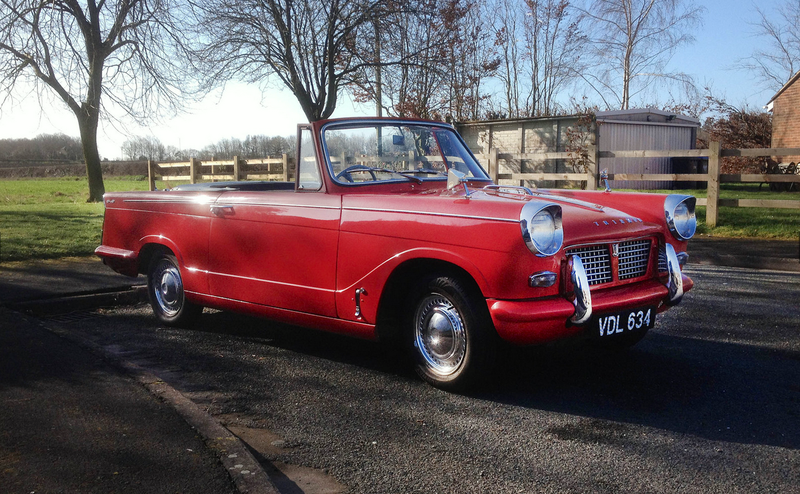 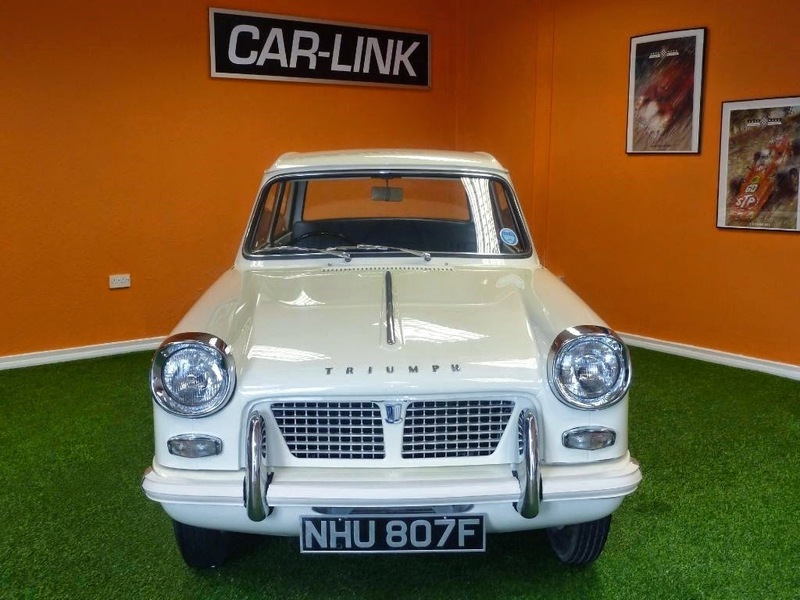 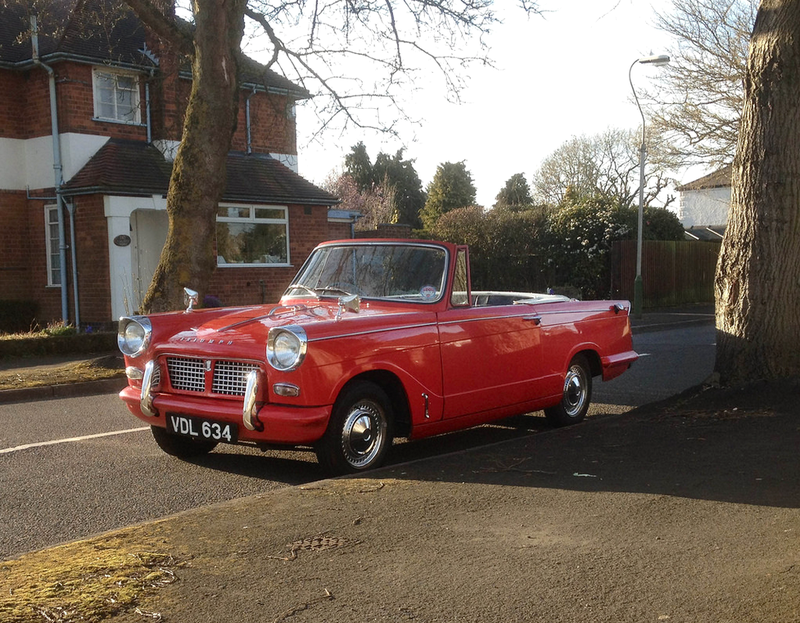 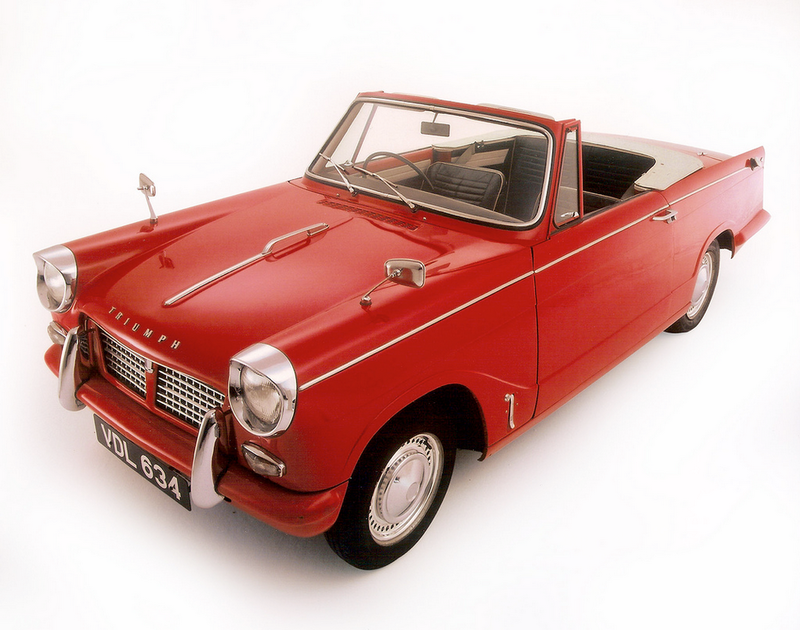 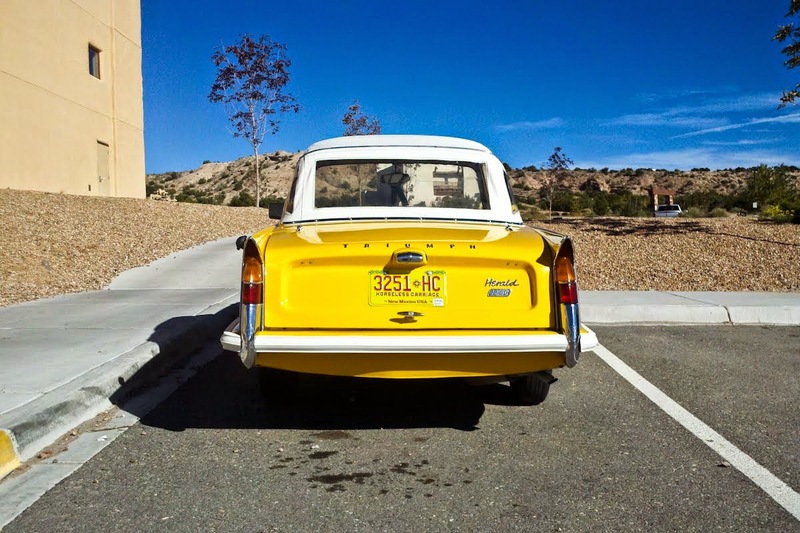 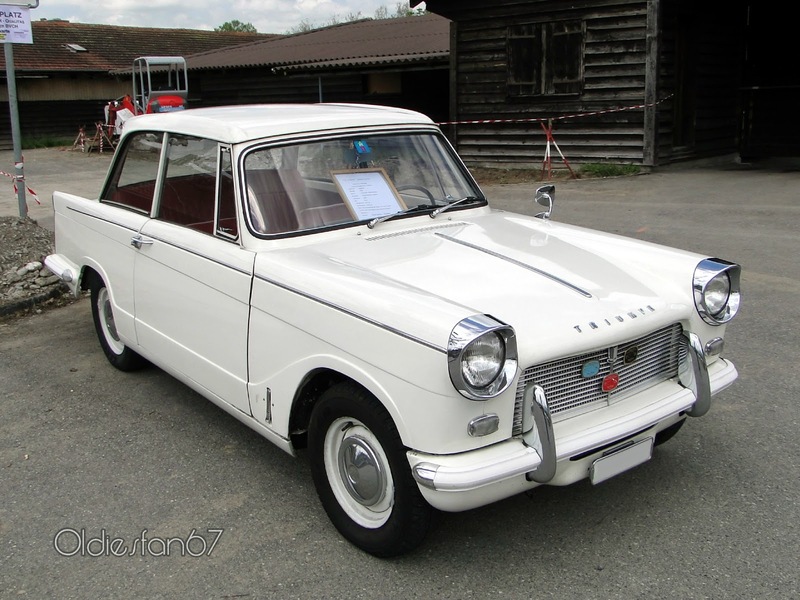 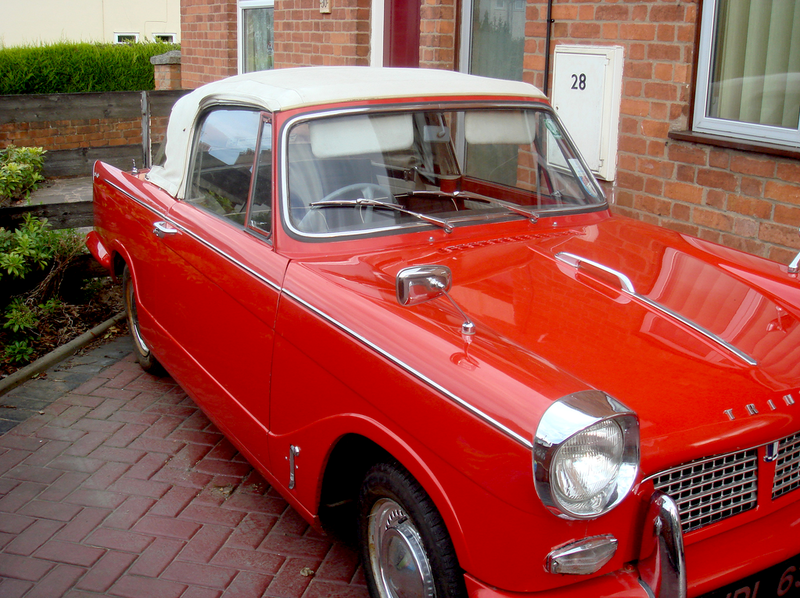 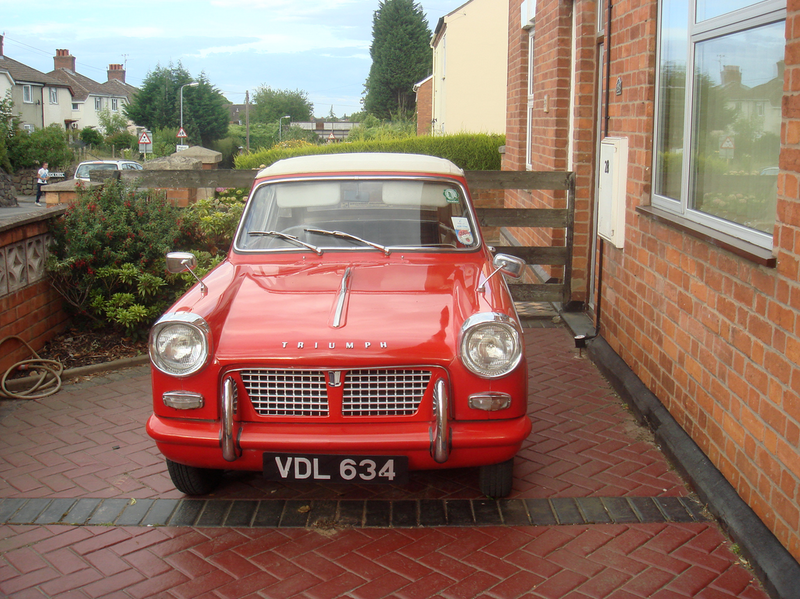 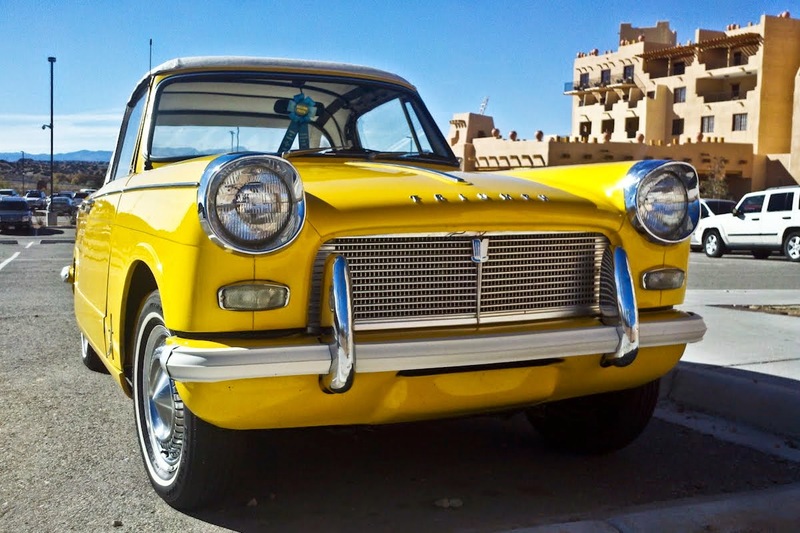 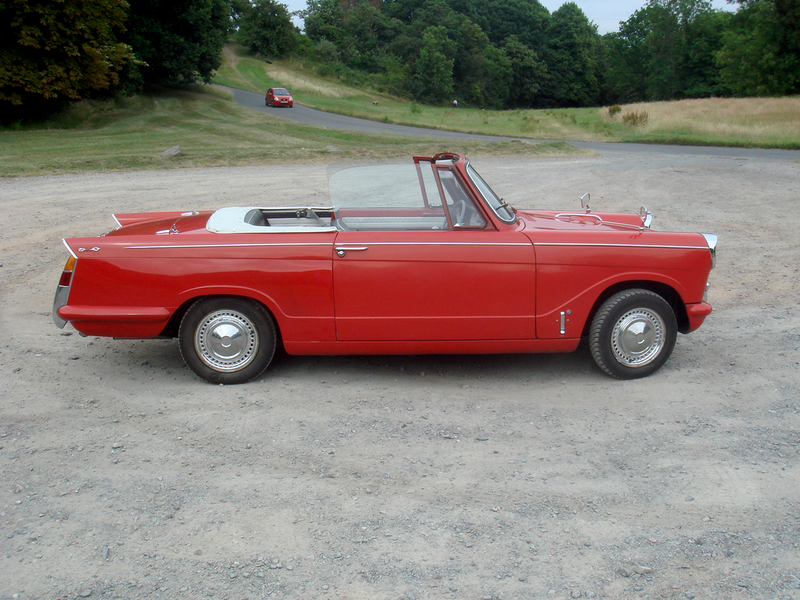 The Triumph Herald is a small two-door car introduced in 1959 by the Standard-Triumph Company of Coventry. 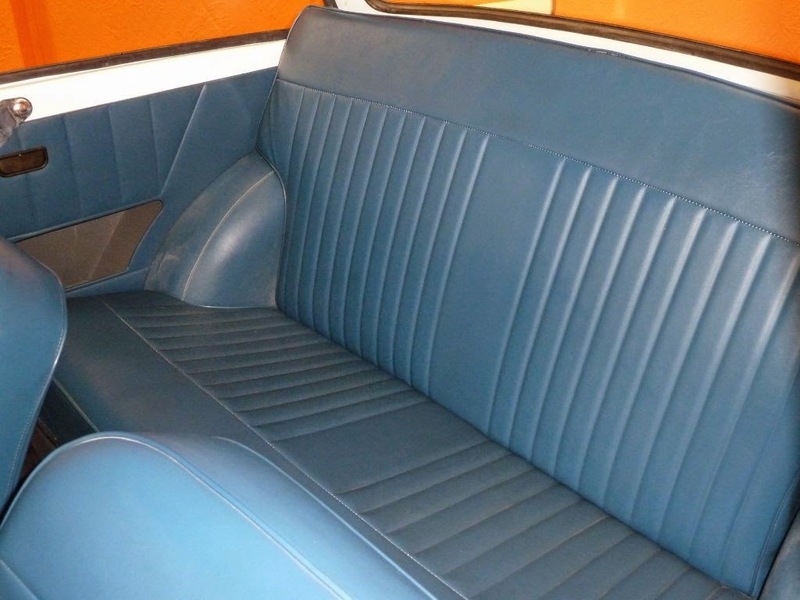 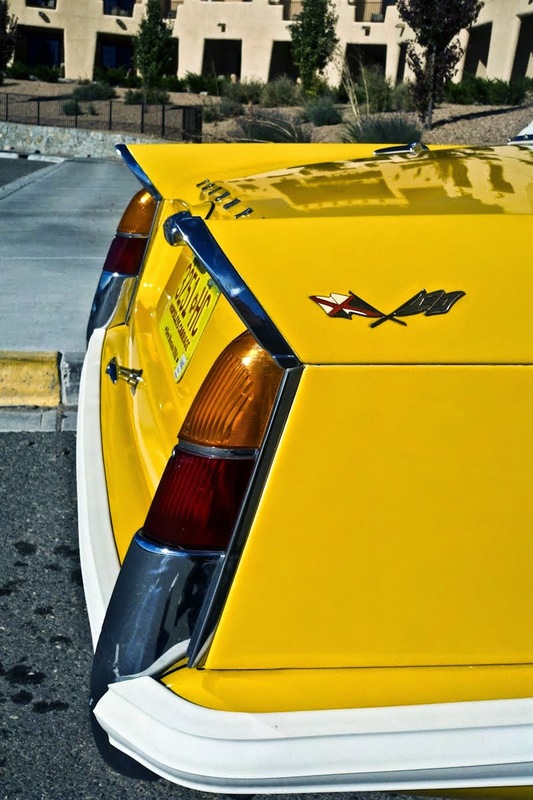 Body design was by the Italian stylist Giovanni Michelotti. 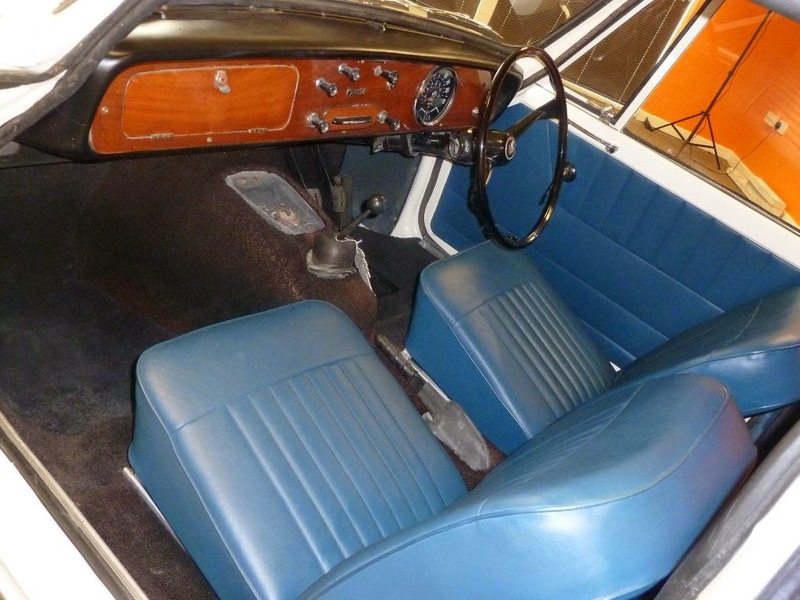 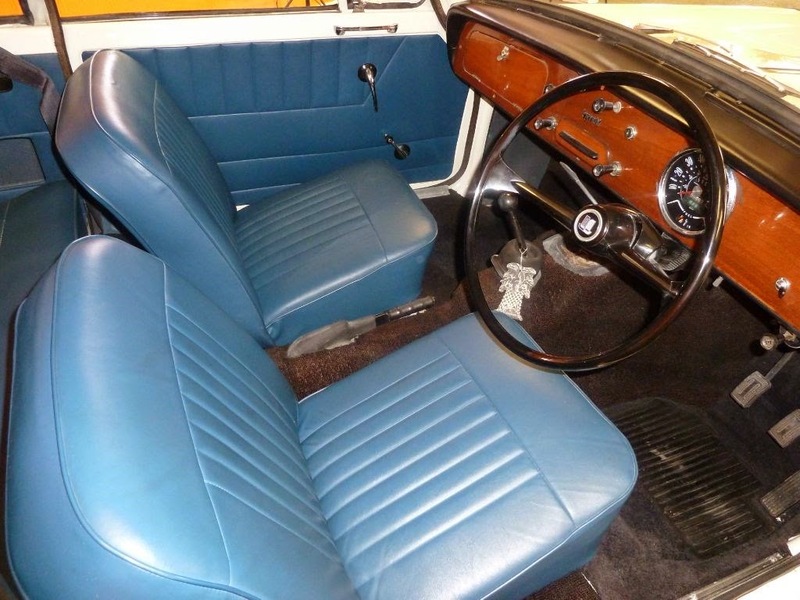 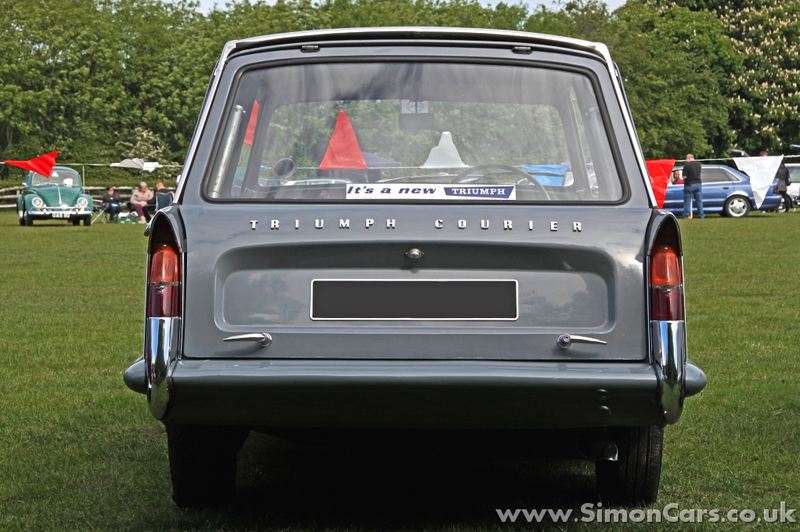 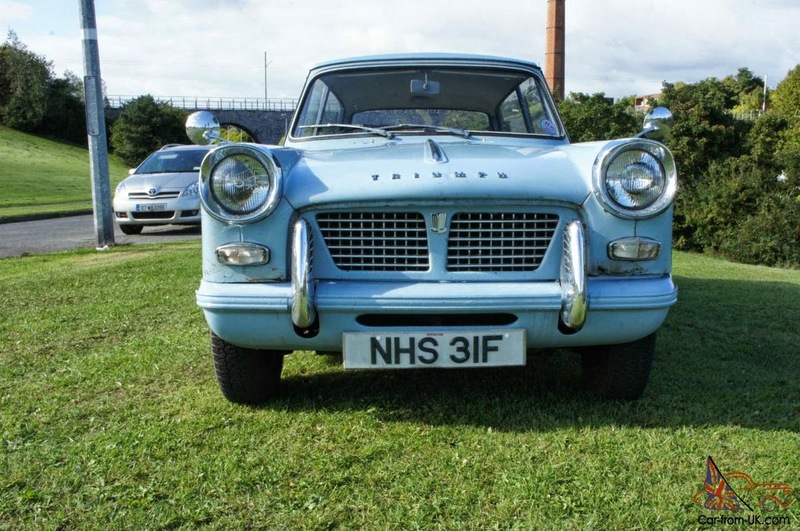 Michelotti was commissioned to style the car by the Standard-Triumph board and produced designs for a two-door saloon with a large glass area that gave 93 per cent all-round visibility in the saloon variant and the "razor-edge" looks to which many makers were turning. 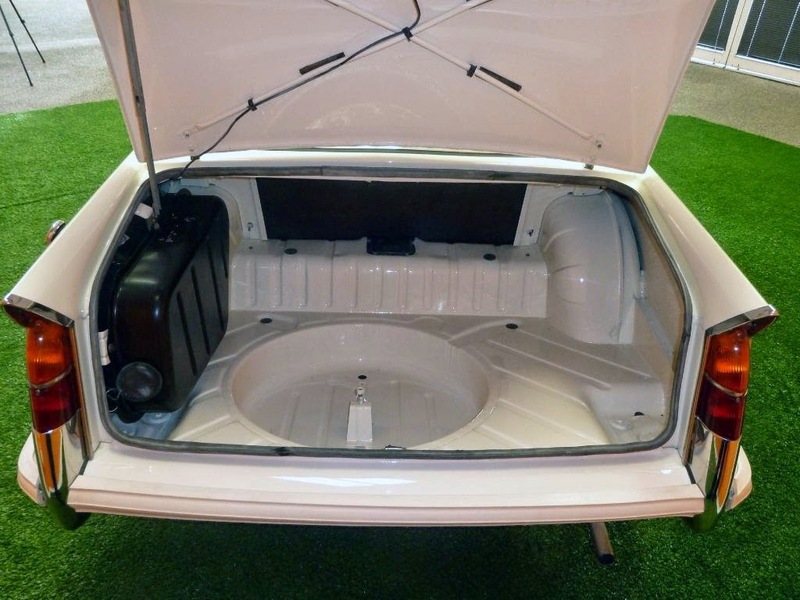 The main body tub was bolted to the chassis and the whole front end hinged forward to allow access to the engine. 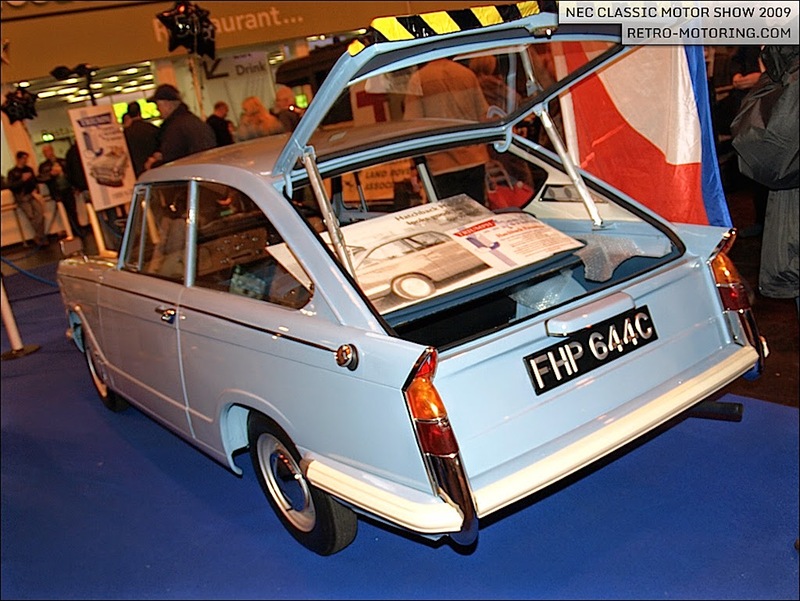 Every panel – including the sills and roof – could be unbolted from the car so that different body styles could be easily built on the same chassis. 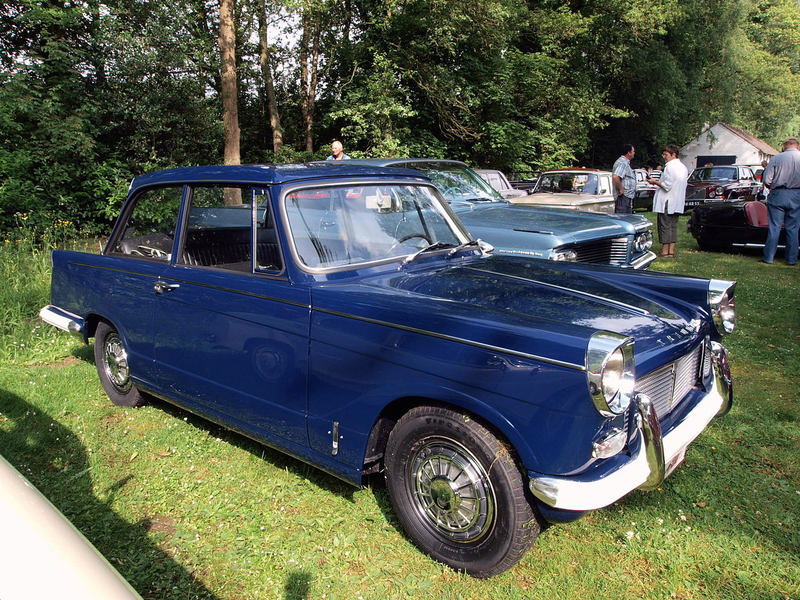 Accordingly, in addition to the original coupé and saloon models, van, convertible and estate versions were on offer within two years. 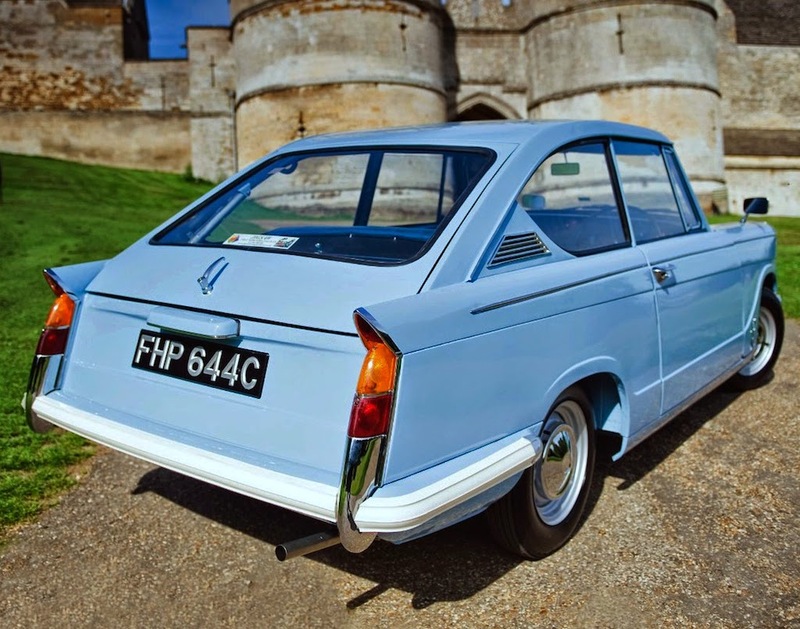 Some features of the new car were considered quite novel at the time, such as independent rear suspension, an incredibly tight turning circle (25 ft.), a collapsible and adjustable steering column. 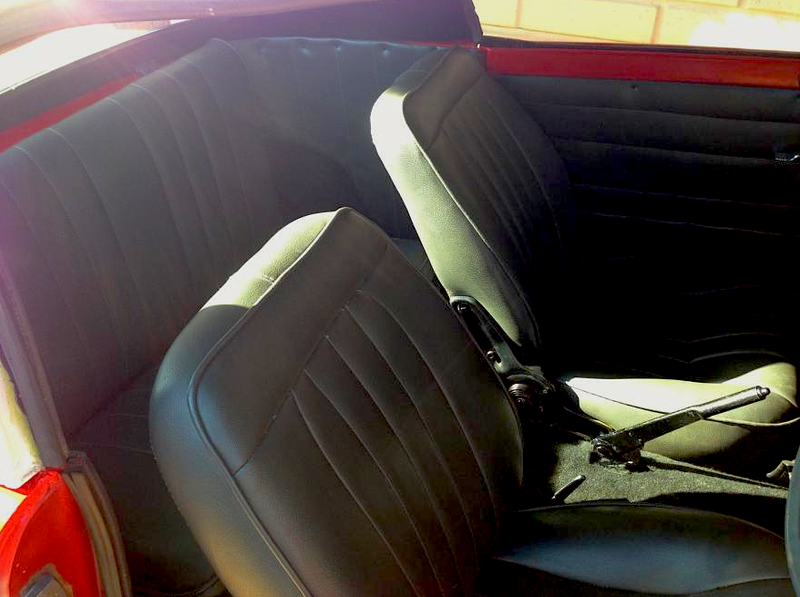 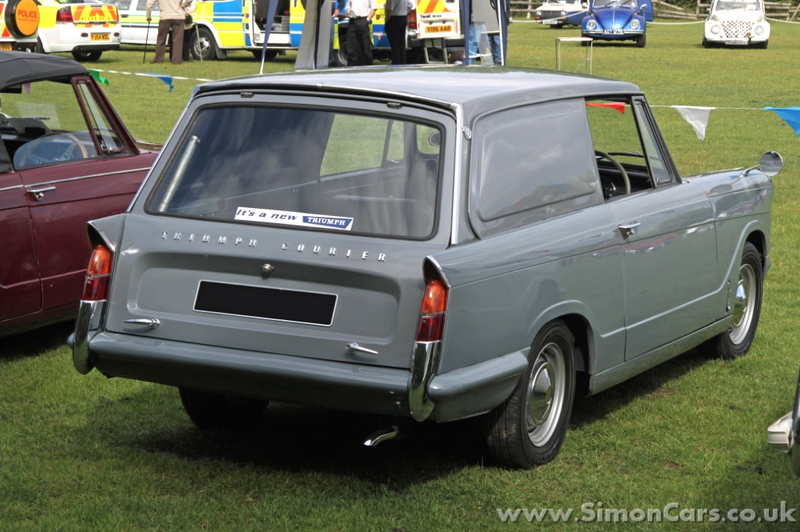 Originally the Standard Pennant's 4-cylinder 948 cc OHV engine and 4 speed manual gearbox was used. 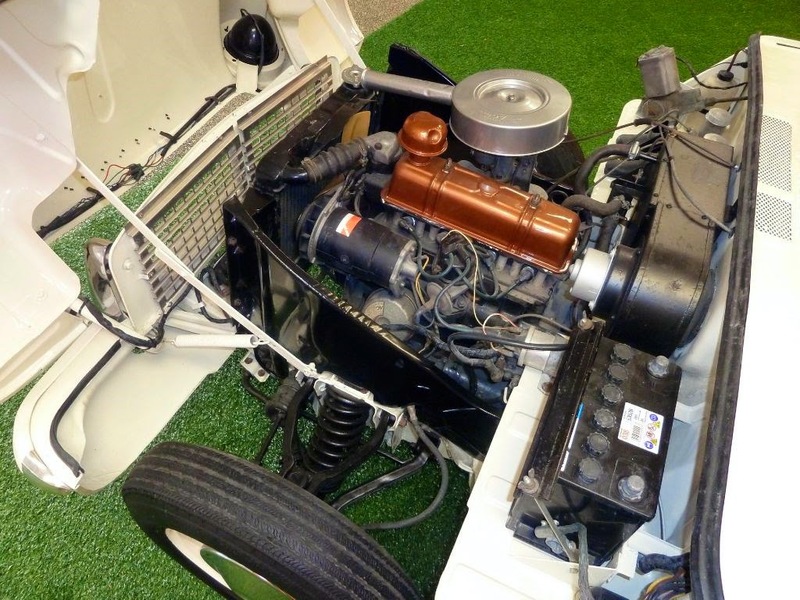 Early 948 cc powered cars are rare, convertibles and coupes are especially sought after. 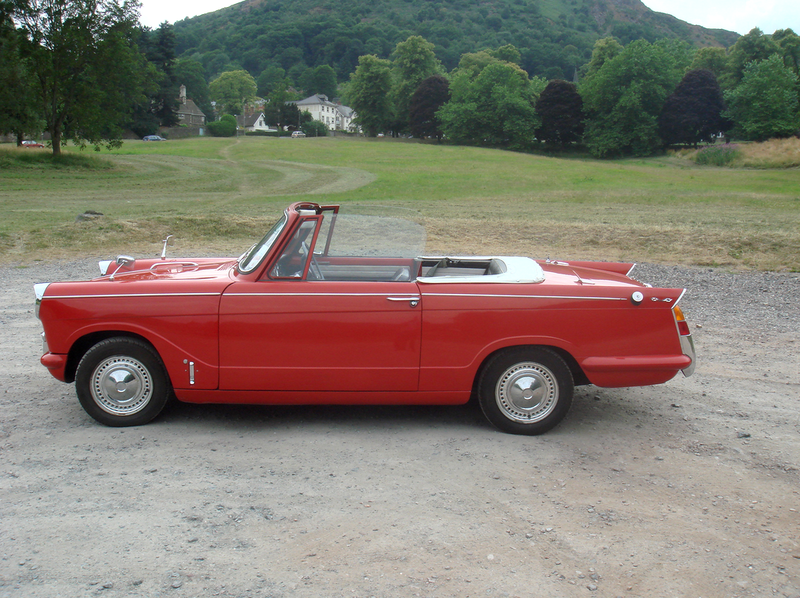 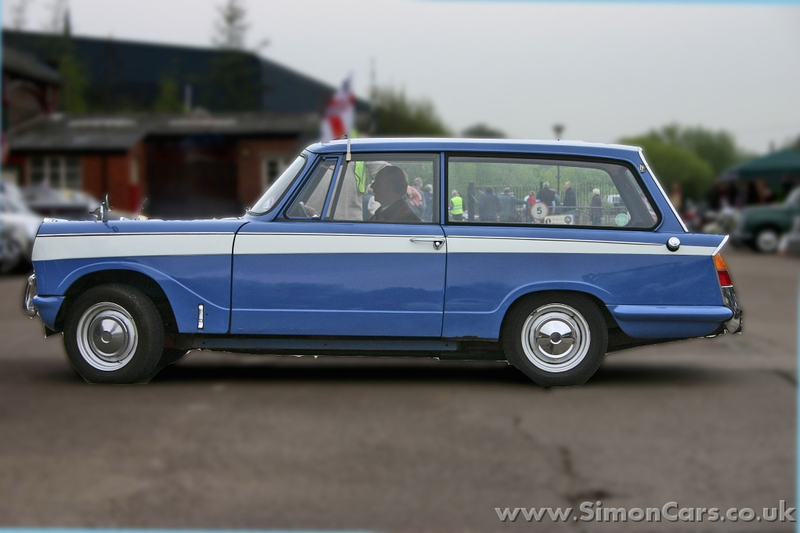 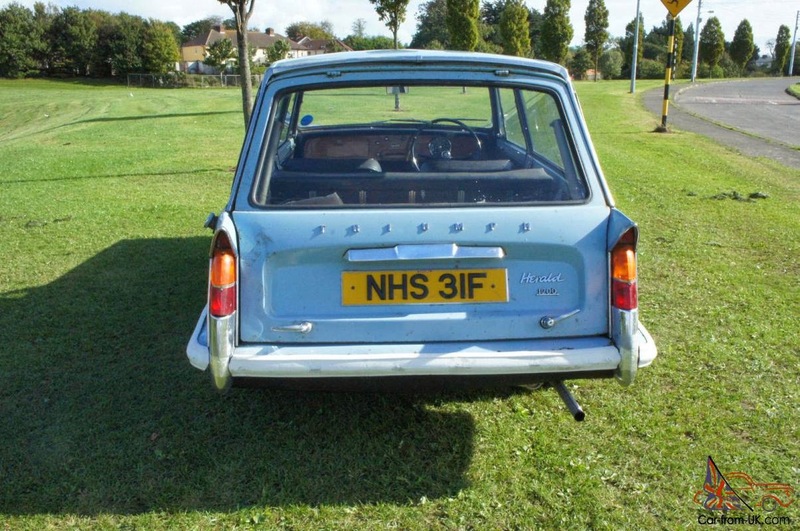 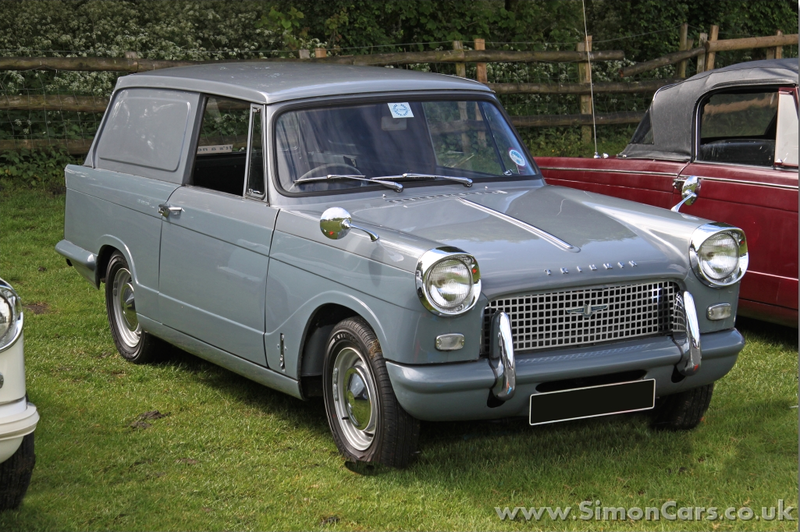 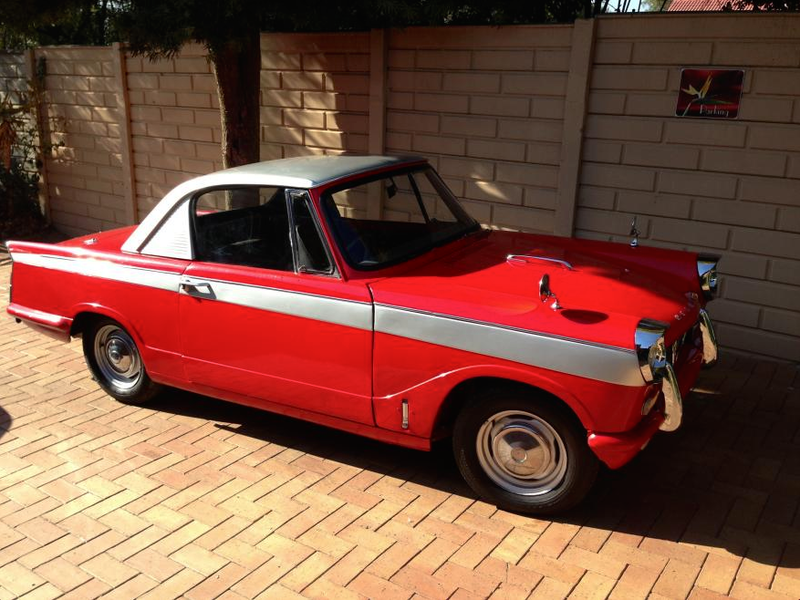 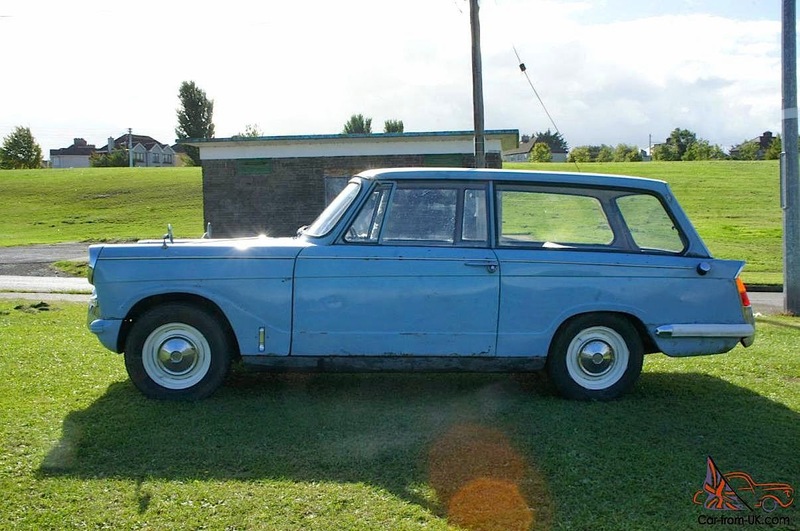 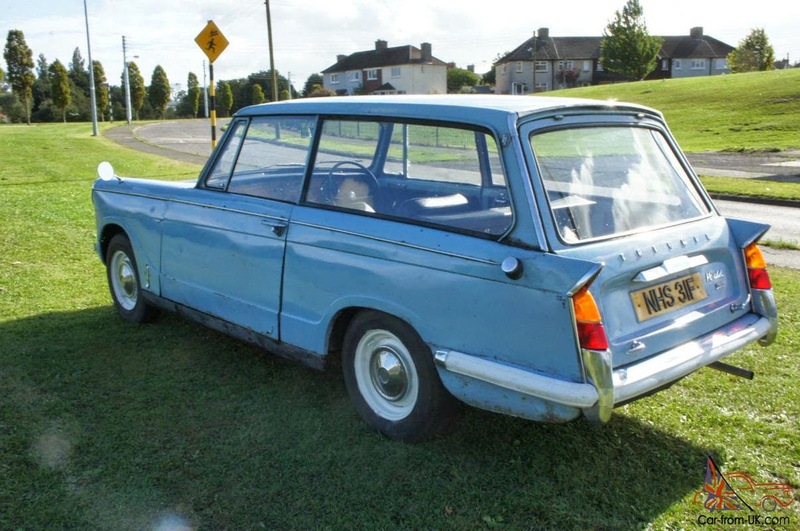 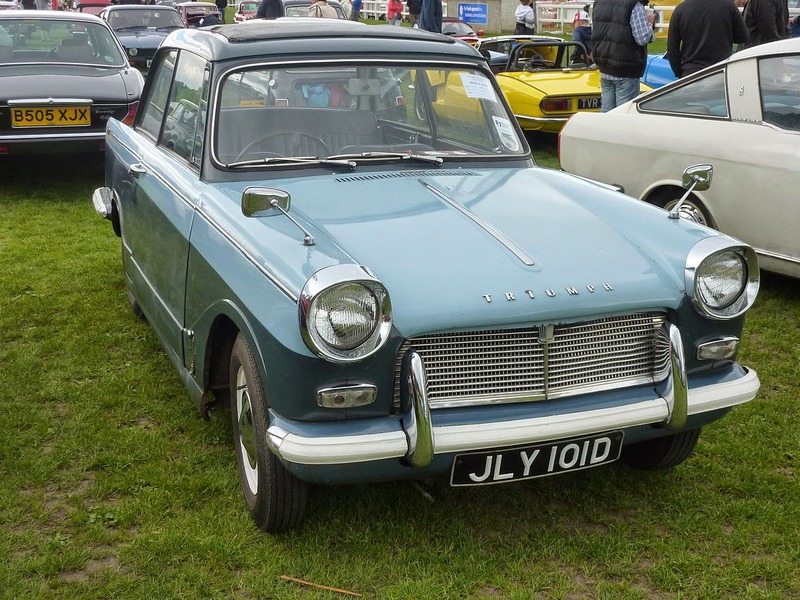 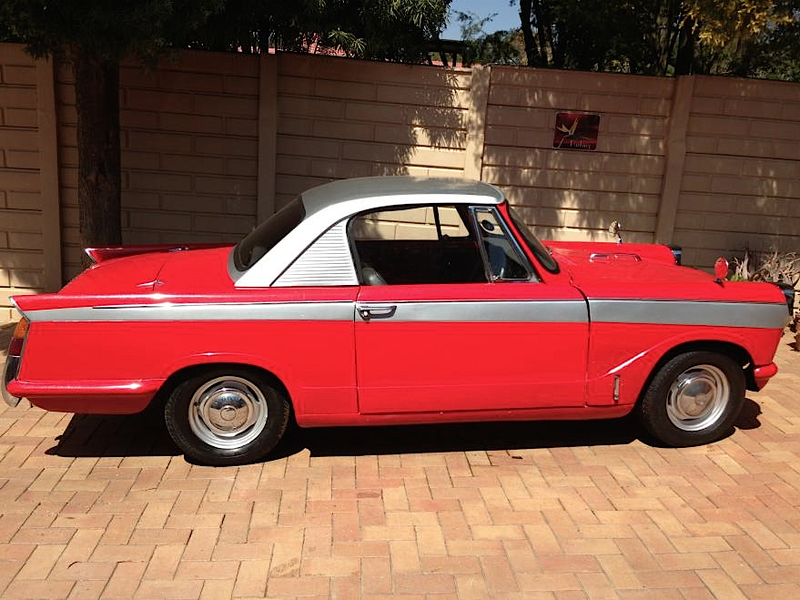 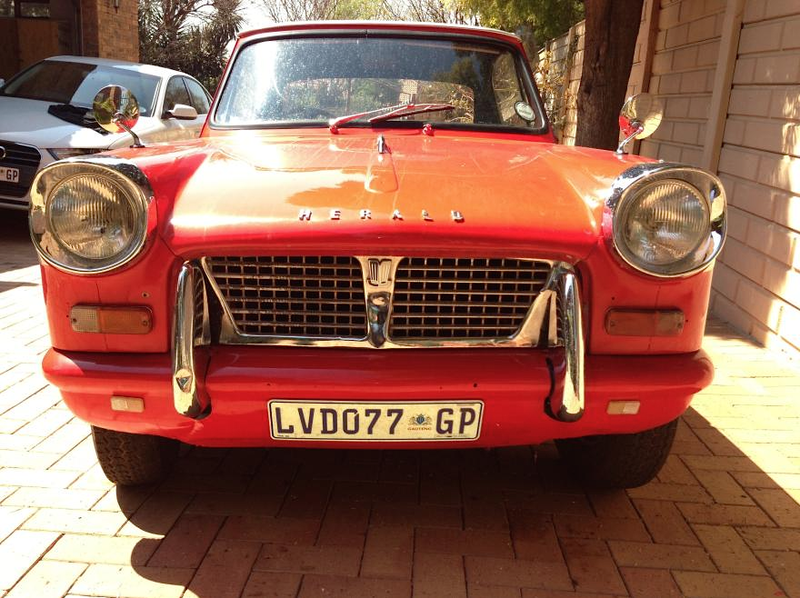 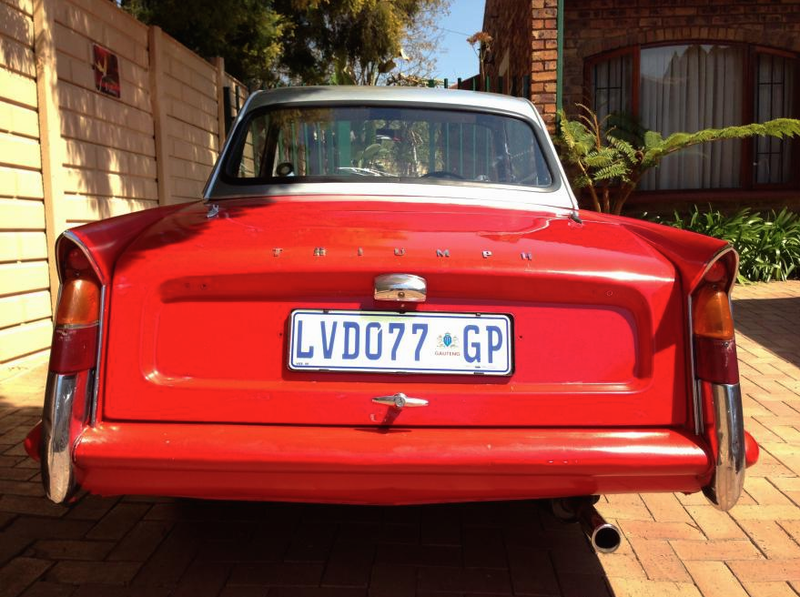 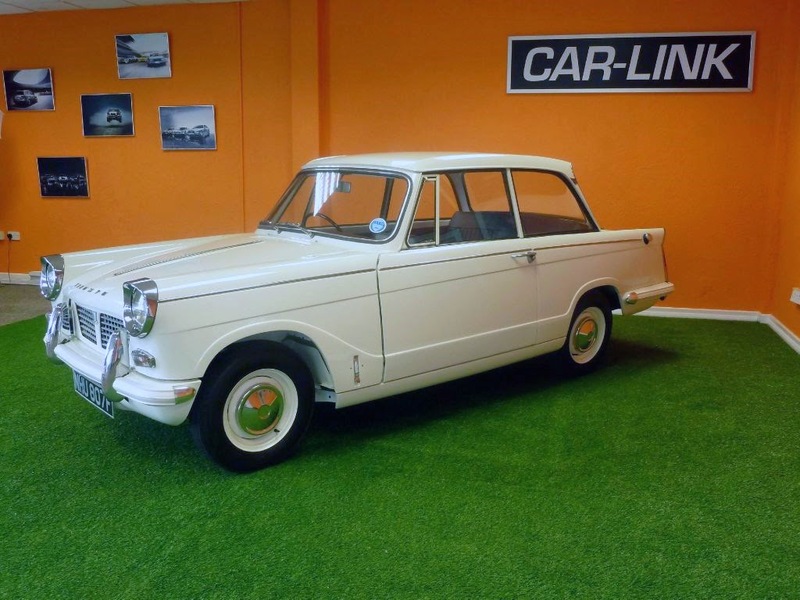 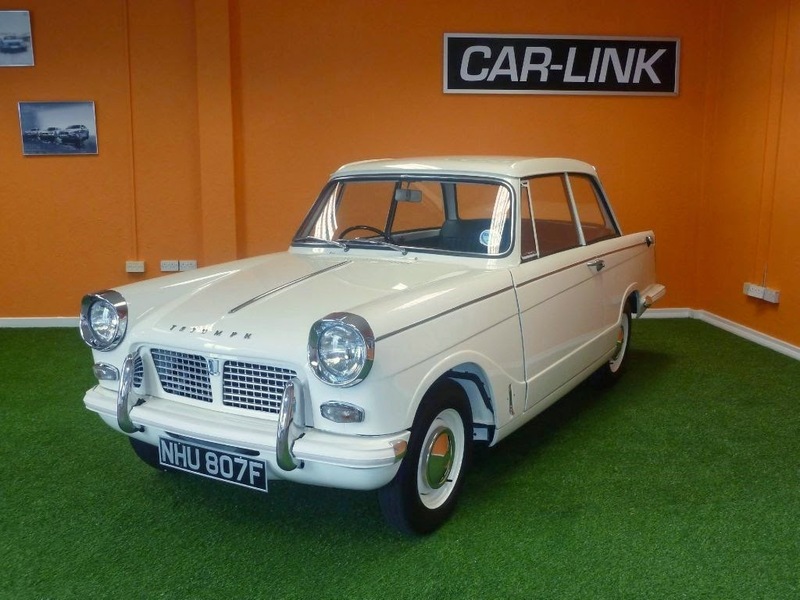 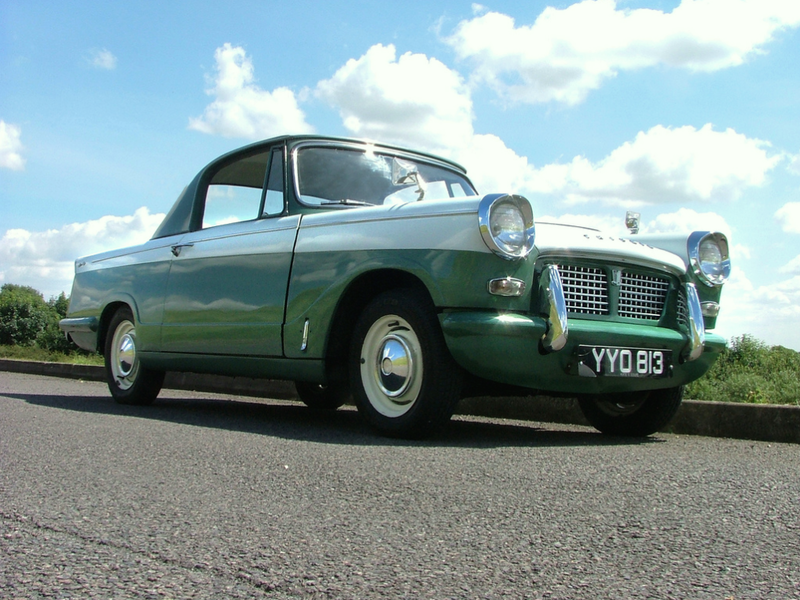 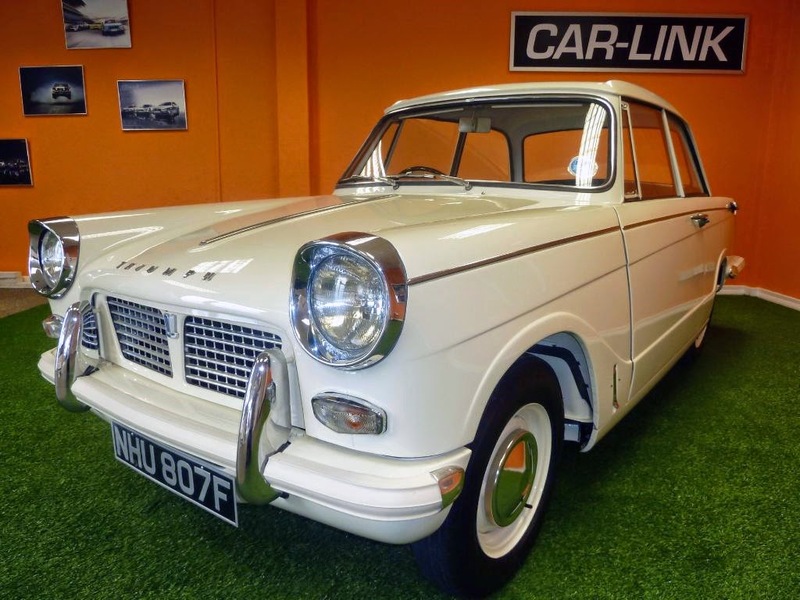 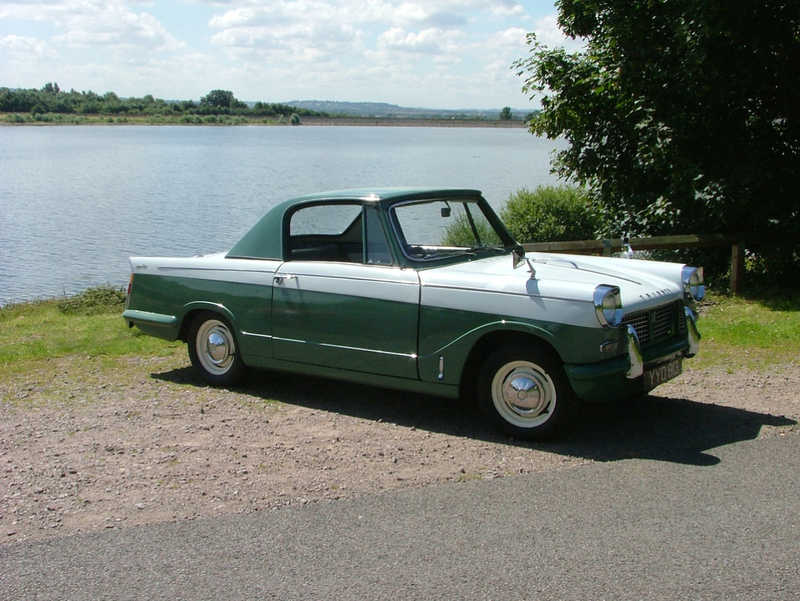 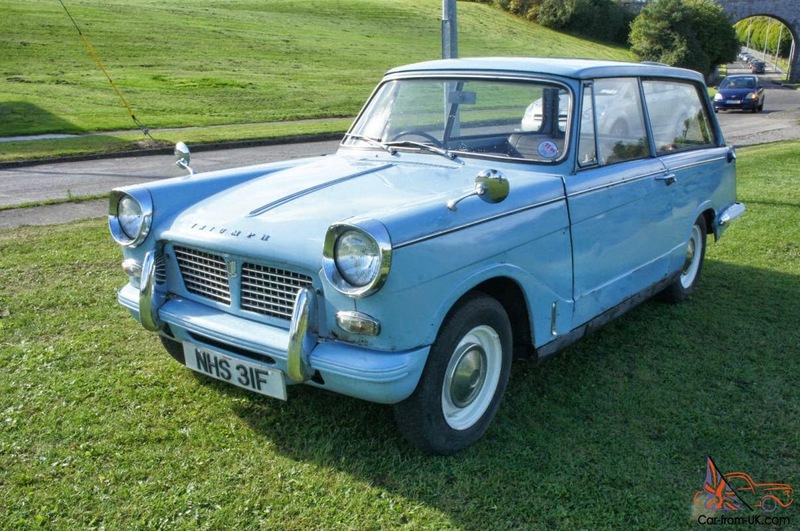 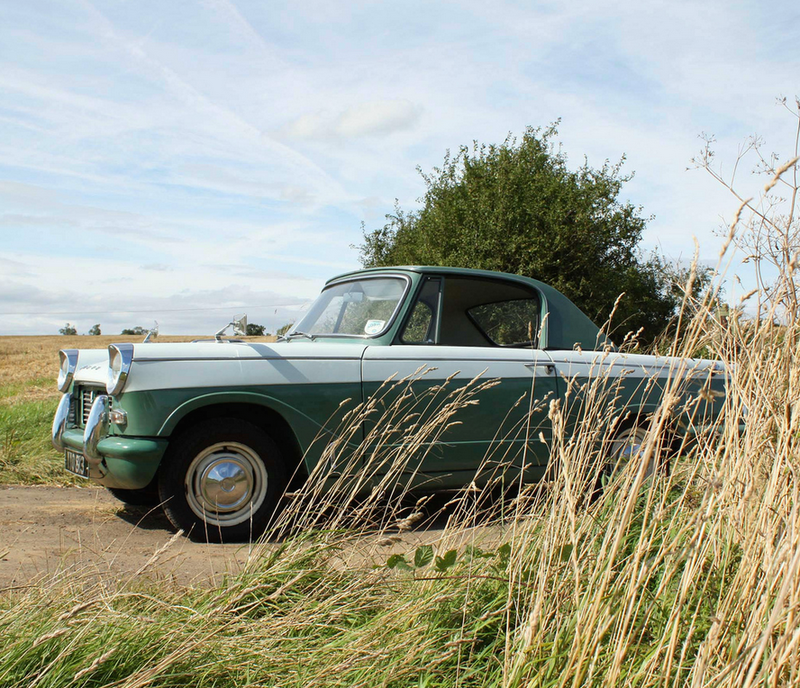 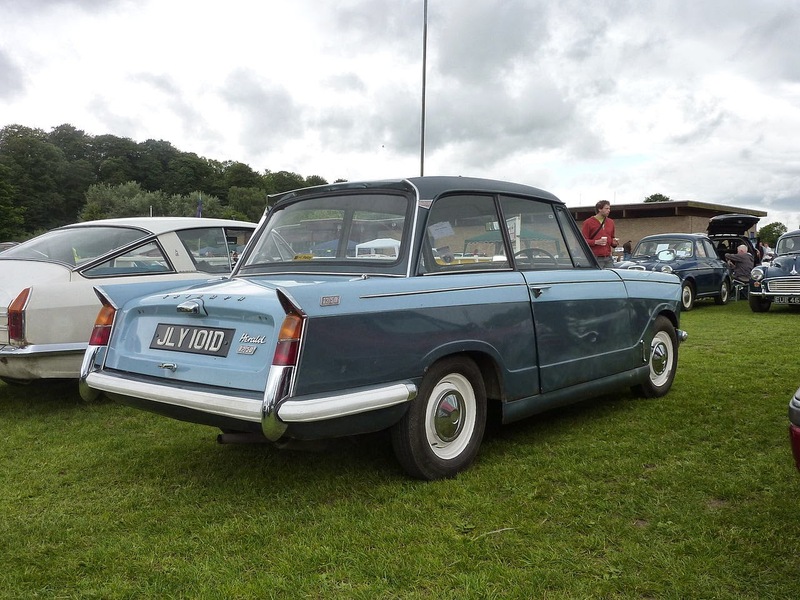 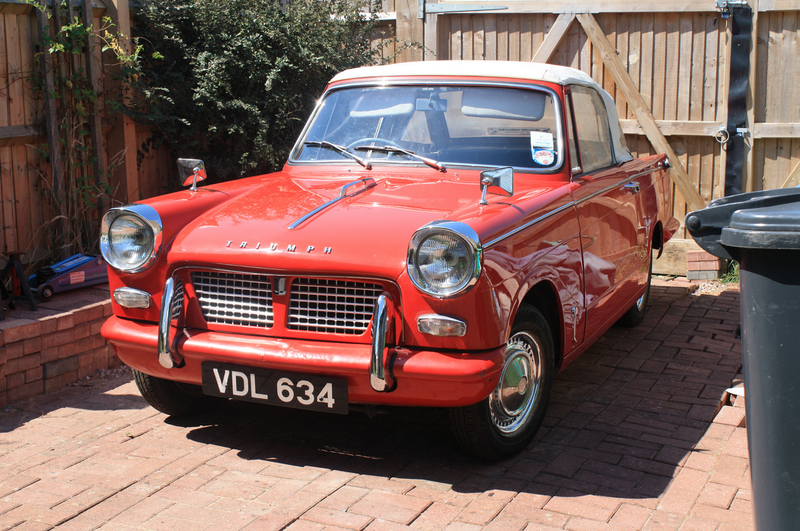 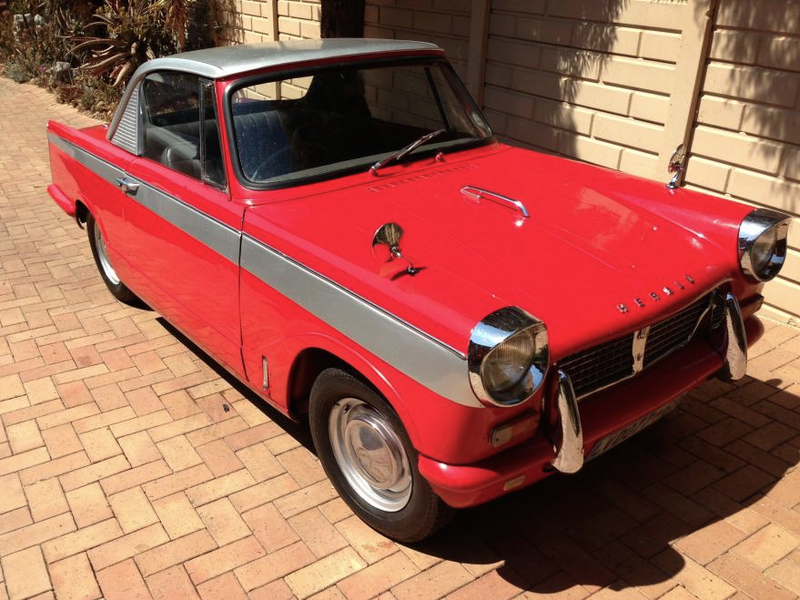 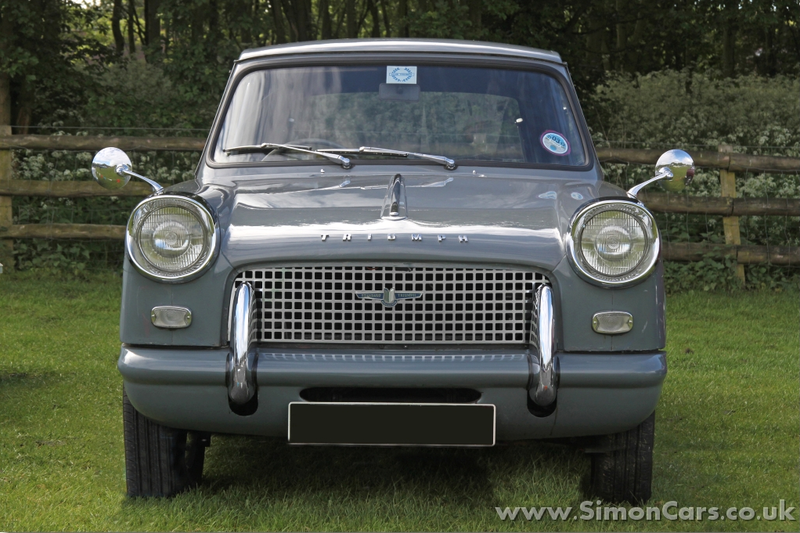 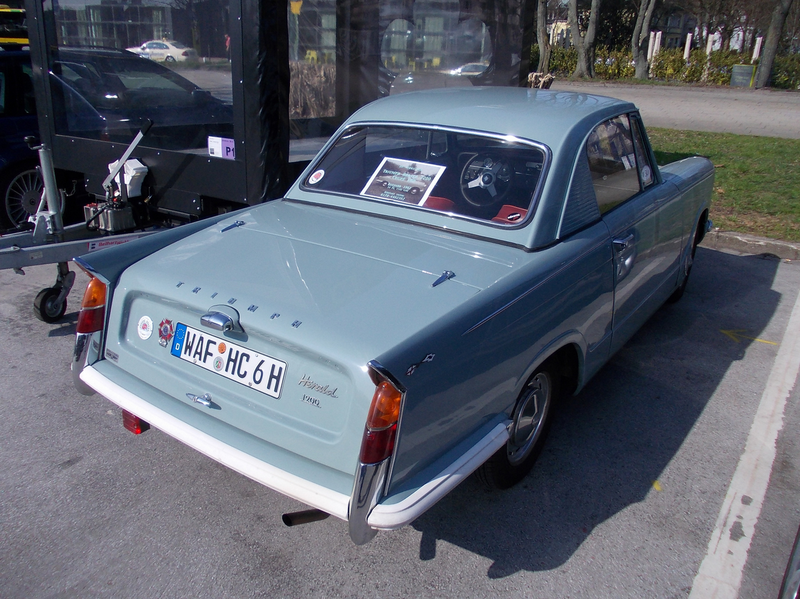 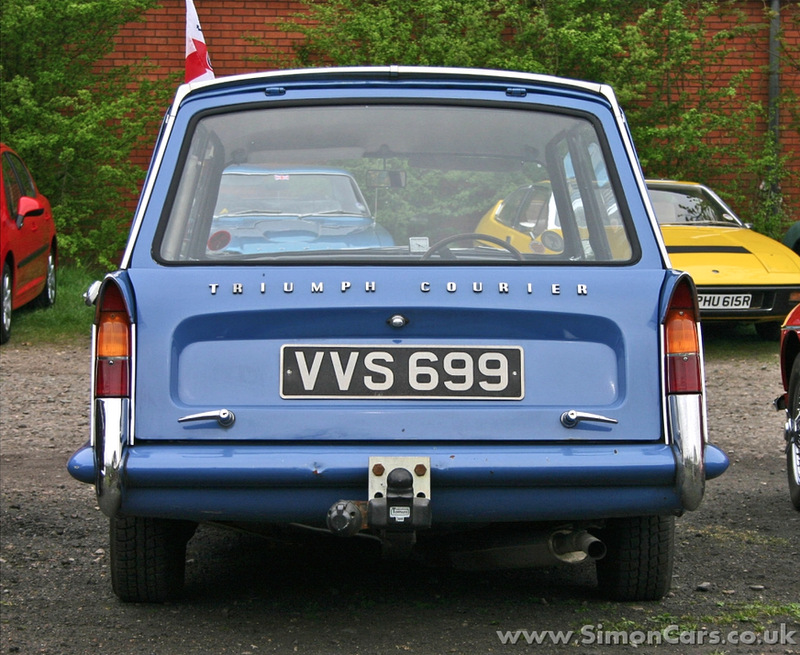 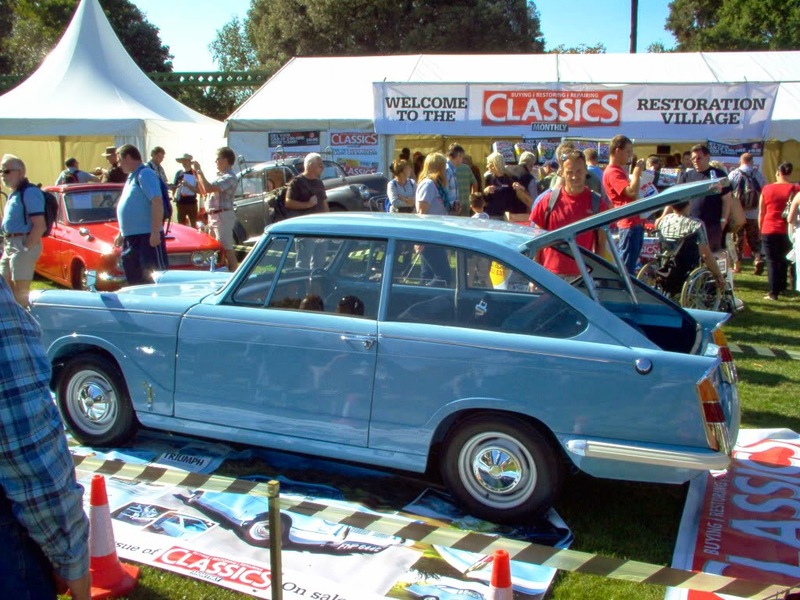 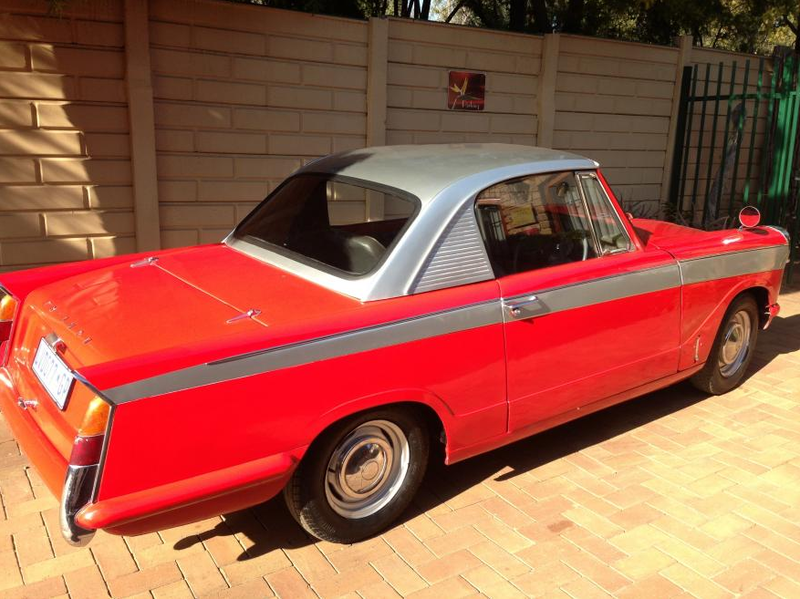 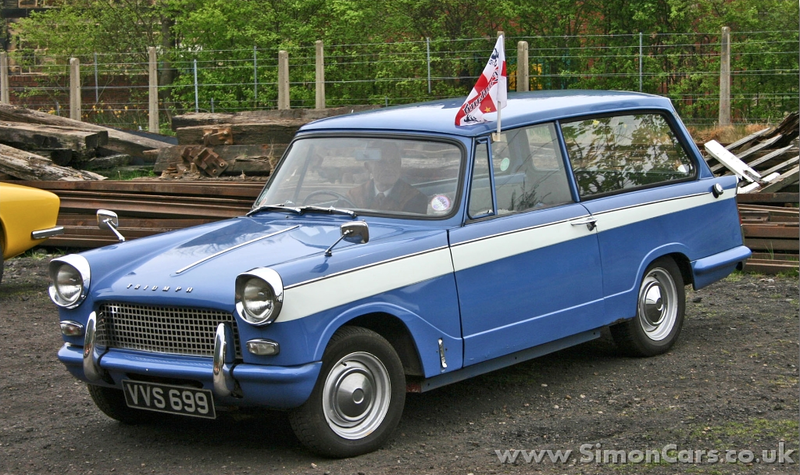 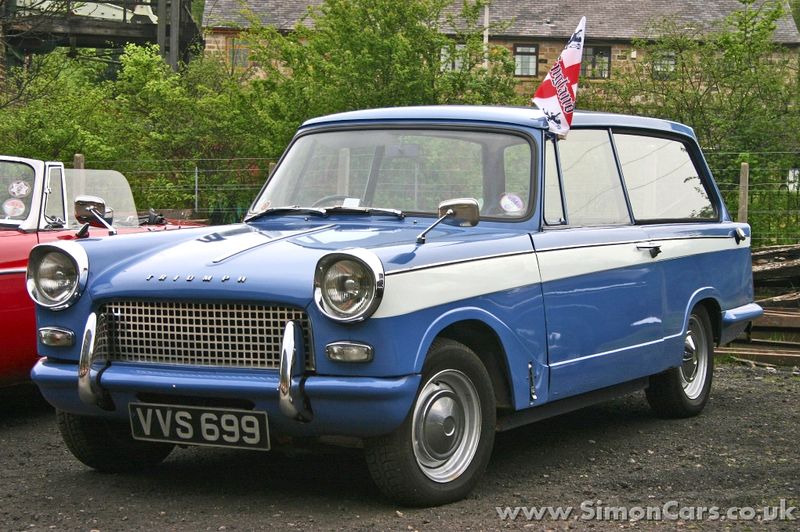 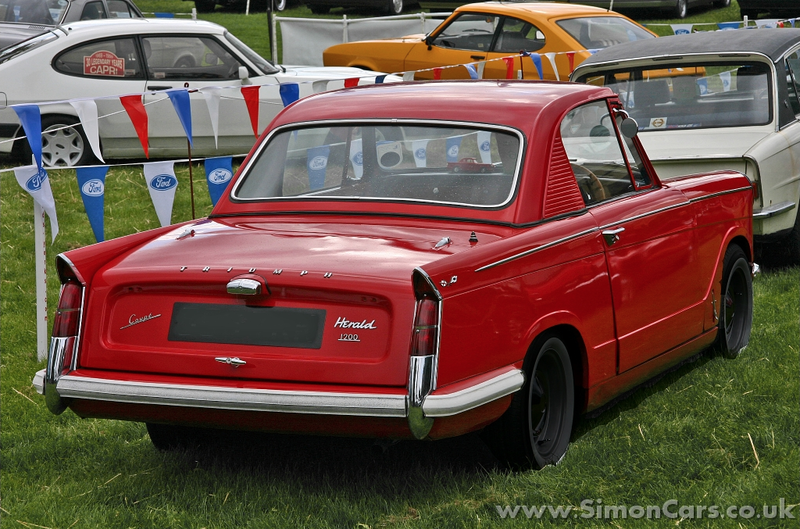 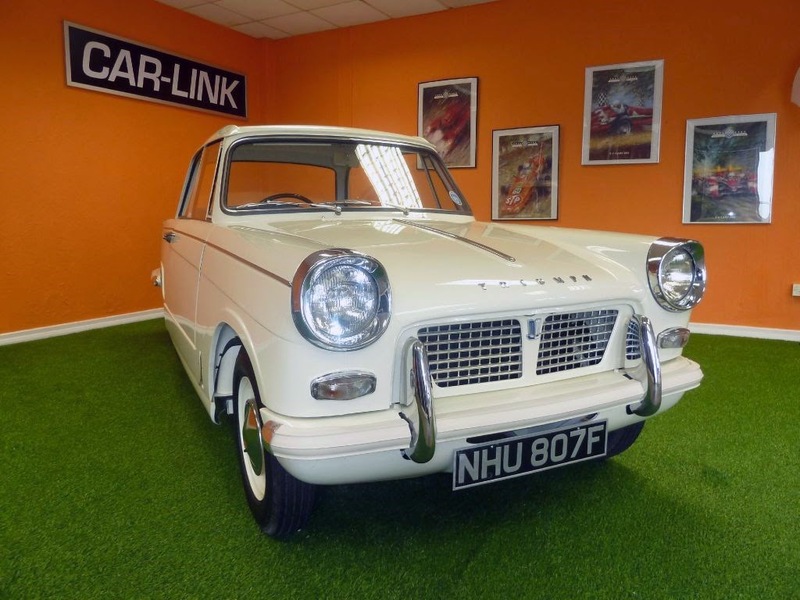 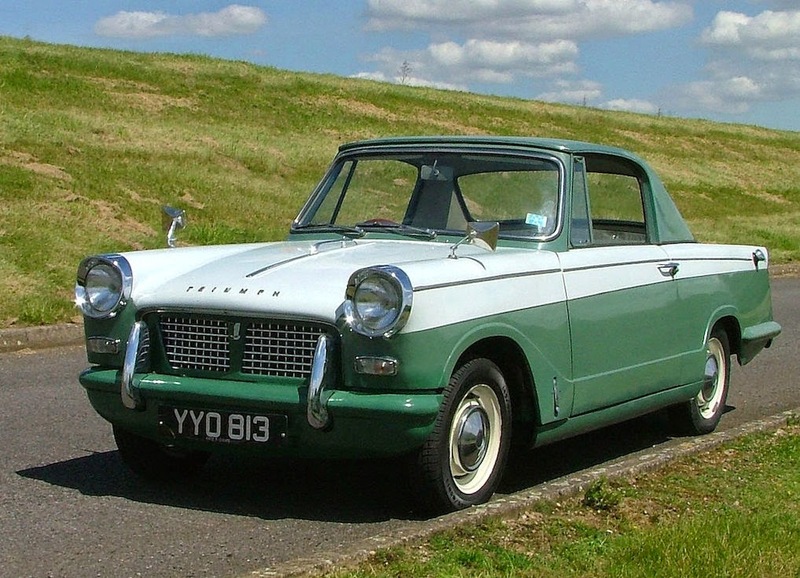 Later on in the 60s, the Herald was re-launched with an 1147 cc engine as the Herald 1200. 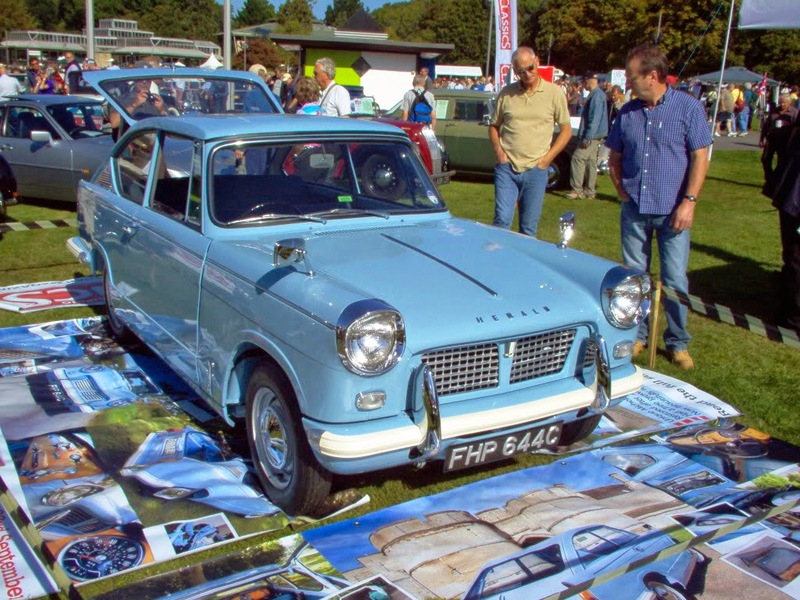 Claimed maximum power of the Herald 1200 was 39 bhp (29 kW), as against the 34.5 bhp (25.7 kW) claimed for the 948 cc model. 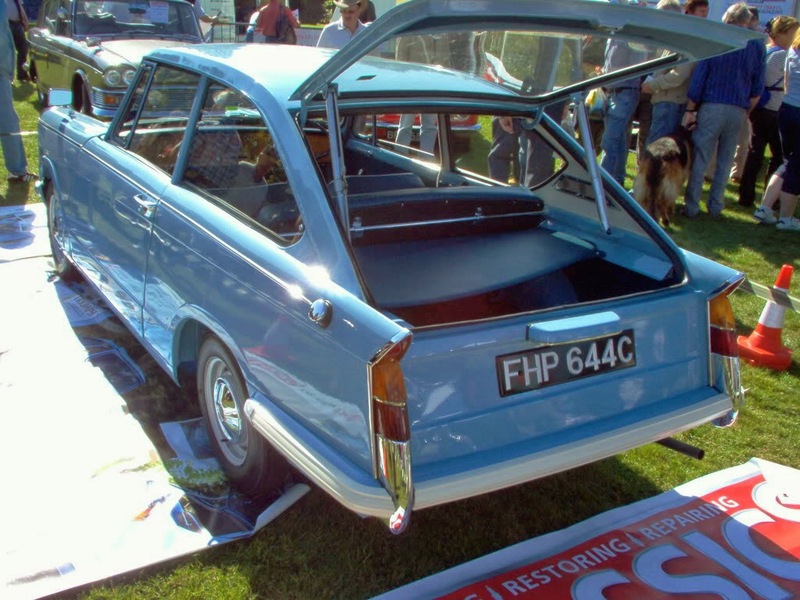 A sportier version, the Herald 12/50 Skylight Saloon, offered from 1963–67. 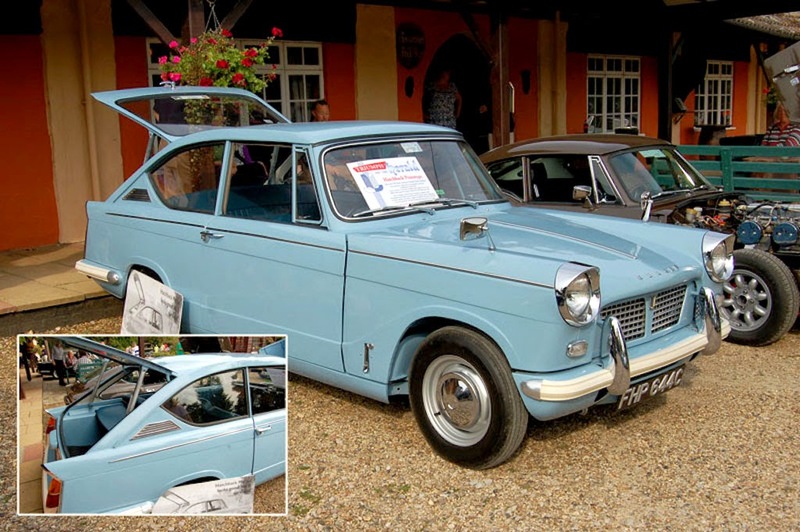 It featured a folding sunroof and a tuned engine with a claimed output of 51 bhp (38 kW) in place of the previous 39 hp on the 1200. 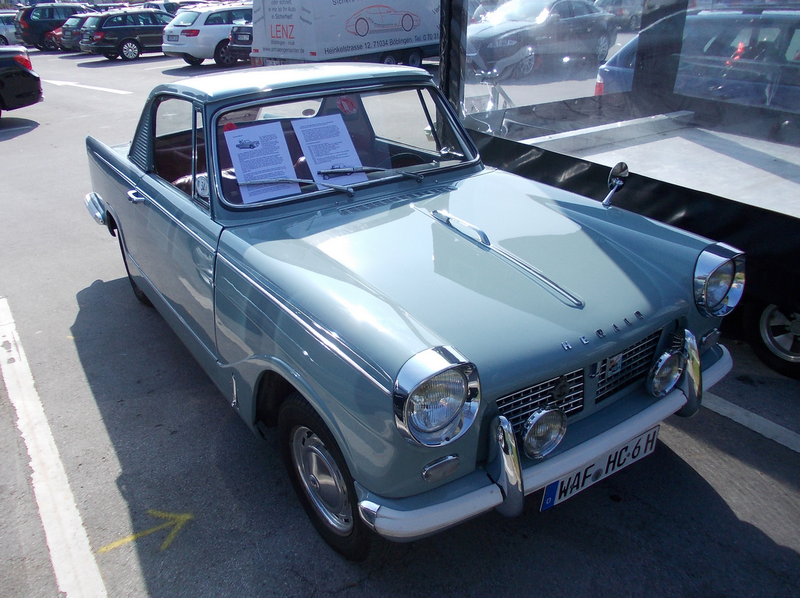 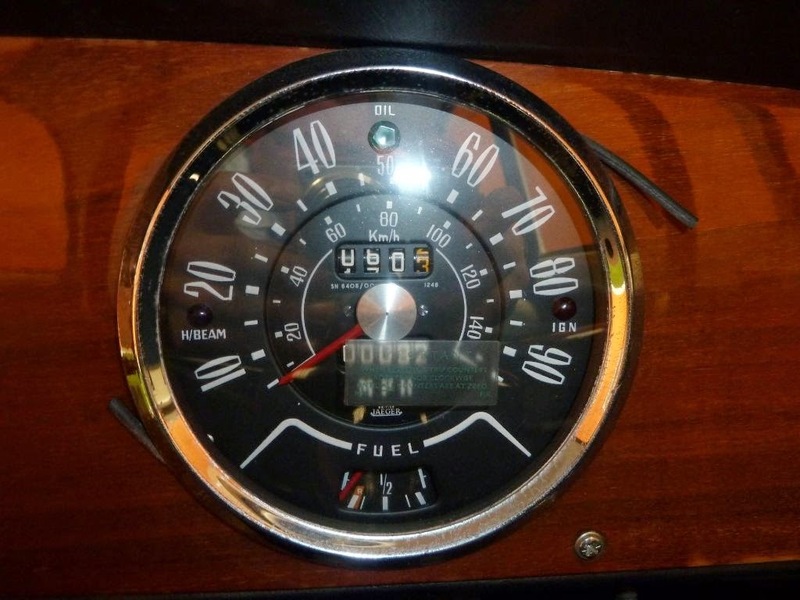 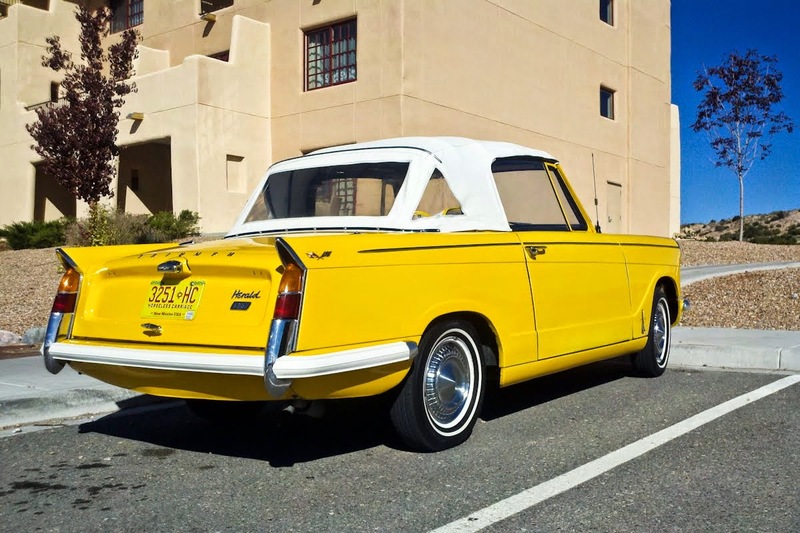 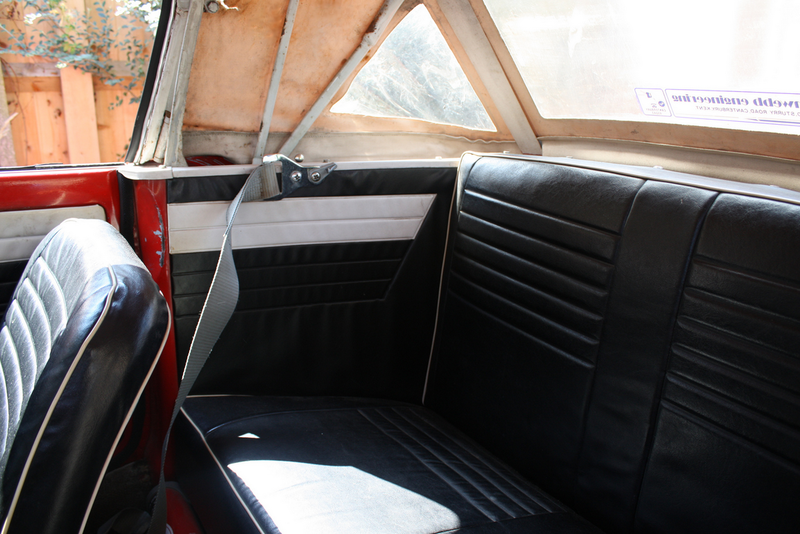 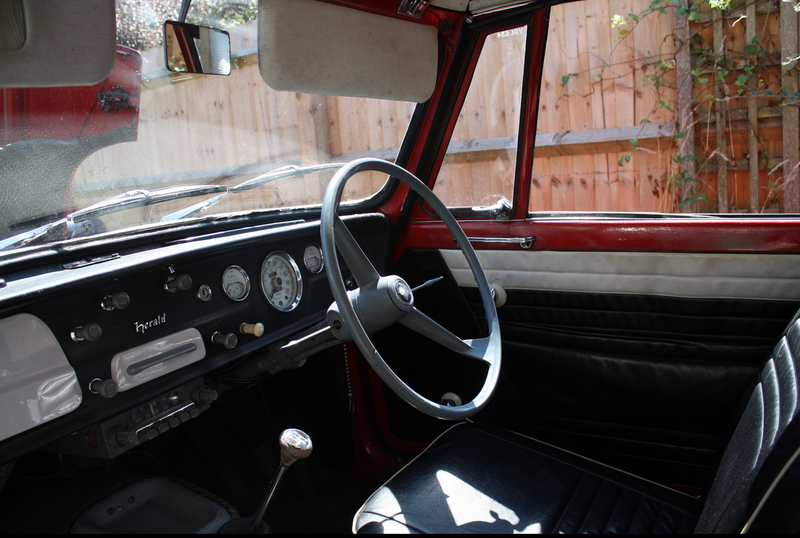 The Amphicar 770 was powered by a 70 cubic inch, 43 horsepower Triumph Herald motor. 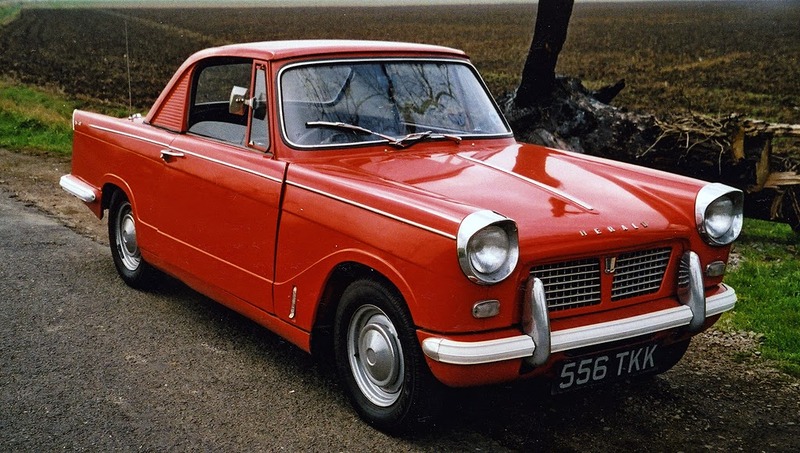 Not in production. 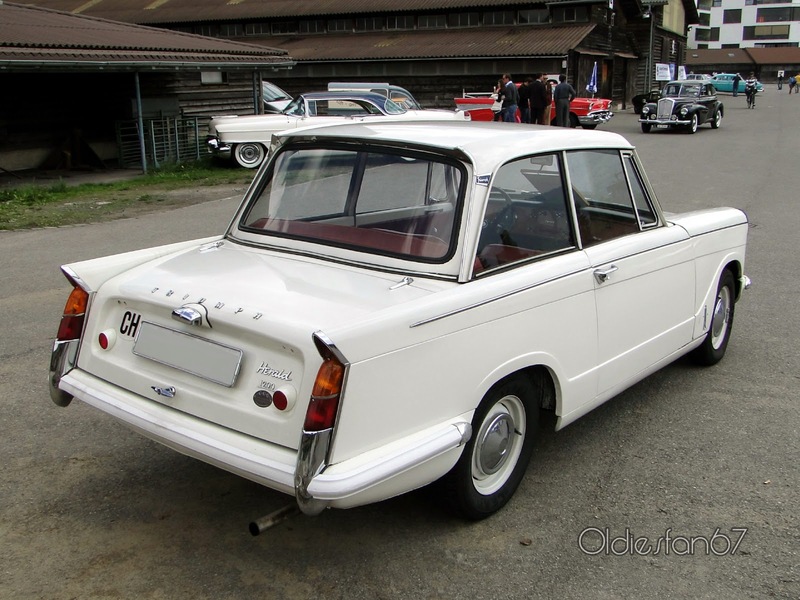 Only 1 prototype was made in 1965.